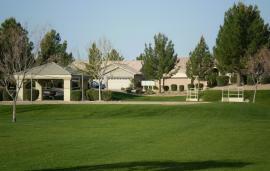 Augusta Ranch is the East Valley's premier golf club community. It is framed by Baseline Rd on the North, Guadalupe Rd on the South, Crismon Rd on the East, and Ellsworth Dr on the West. 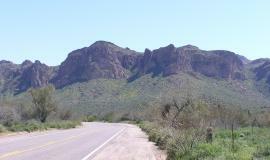 US60 and Loop 202 access is within 2 miles of the community, making it quick and easy to get to any part of the valley or escape to the mountains of eastern Arizona. View an interactive map of our neighborhood by clicking here. Read a recent story (03/28/14) about Augusta Ranch published in The Arizona Republic by clicking here. Click here to visit the official Augusta Ranch Golf Club website. Augusta Ranch residents attend schools in the Gilbert School District. Augusta Ranch Elementary is located within the community. Desert Ridge Junior High and Desert Ridge High School are located right across the street. Find out more information on each school by clicking the following links: Augusta Ranch Elementary, Desert Ridge Junior High, Desert Ridge High. There are 5 parks owned by the HOA and one park owned by the city of Mesa in the community. Across all parks, there are 4 play structures for kids, 3 full size basketball courts, 3 sand volleyball courts, 9 ramadas, and lots of open space. The HOA closely monitors the look and safety of all park structures to ensure a clean, attractive, and safe place for families to play. Two large shopping malls are within 20 minutes of the community. For all the traditional mall stores, the Superstition Springs Mall is only 6 mi/15 min away. For more info on Superstition Springs Mall visit their website by clicking here. If specialty shops in an outdoor mall setting are more to your liking, visit SanTan Village Mall only 11 mi/15 min away. 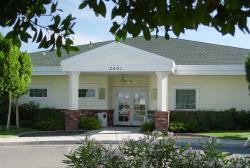 For more info on SanTan Village, visit their website by clicking here. 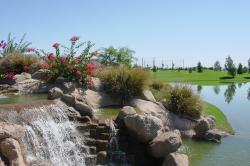 Augusta Ranch is in a great location for enjoying the many outdoor activities Arizona has to offer. To get an idea of the topographic diversity near our community, click here. 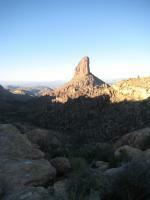 Augusta Ranch is in close proximity to the Superstition Mountain Wilderness and Tonto National Forest. The Tonto National Forest border is only 9 mi away from the community. Great hiking and sightseeing opportunities await in this rugged terrain. Within 45 minutes, you can hike Peralta Trail. For all of your hard work you are rewarded with the view shown at left when you reach the top of the canyon!! Many other trails exist throughout the surrounding area. In addition to hiking, an abundance of water sport activities exist nearby. Yes, there is water in the desert. Go tubing, kayaking, or fishing for trout on the Salt River. See magnificent vistas, wild horses, and enjoy the sunshine and cool clear water. Salt River access is only 14 mi/25 min away from the community. Along the way you will see stunning views like the image shown at right. Fun with water in the desert isn't limited to the Salt River. The Salt River is a major water source for Phoenix. It drains the White Mountain area in the east side of the state. There are 4 large reservoirs along the Salt River with cool clear water that offer jaw dropping views and endless water recreation activities. 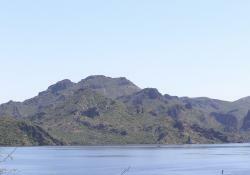 The closest of the Salt River lakes, Saguaro Lake, is only 18 mi/35 min away. Canyon Lake is only 22 mi/60 min away. If seclusion is what you want, continue past Canyon Lake on a dirt road to Apache Lake. Go past Apache Lake and you will arrive at massive Roosevelt Lake.